Sign up to receive The Discoverer’s editions and insider travel tips. Oh, Nashville. 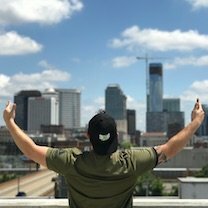 How do we even begin to share our love for Music City? 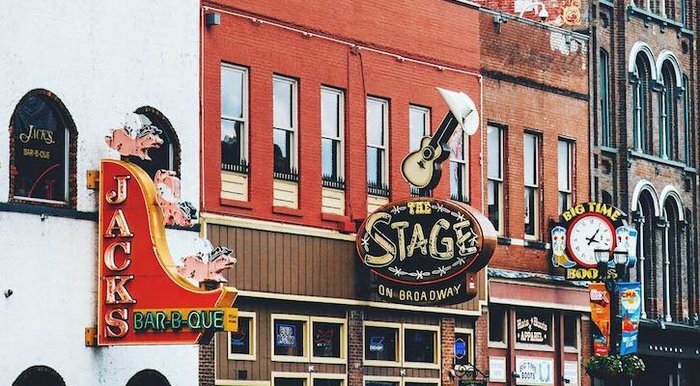 Whether you come to it as an avid fan of country music, or just to see what all the hubbub is about, Nashville lives up to the hype. 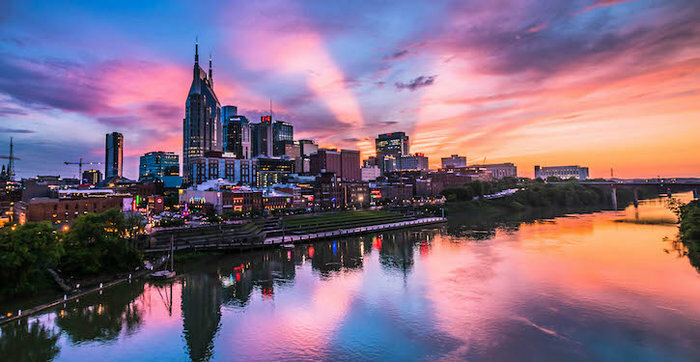 The spirit of Southern hospitality meets Hollywood glitz in every jingling bar, towering building along the Cumberland River, and vibrant street mural. 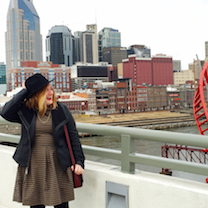 No matter how you got here, you’ll soon discover that the Nashville vibe is contagious. 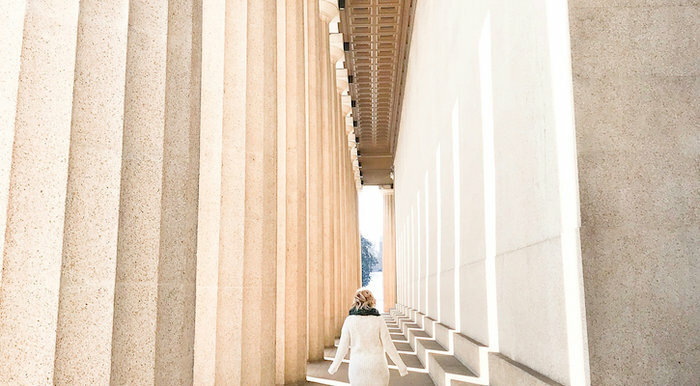 Nashville is called the “Athens of the South” due to the full-size replica of the Parthenon that was built in 1897. Inside the building stands a 42-foot-tall statue of Athena. 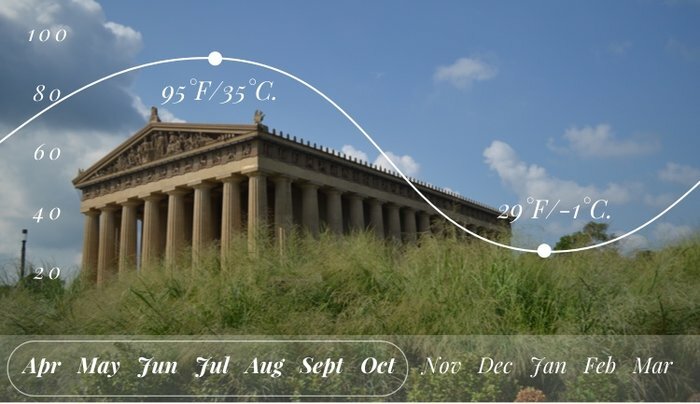 Late spring through early fall is the peak travel season in Nashville, though we recommend avoiding the mid-summer humidity and traveling on the fringe months. Winter has its charms, especially around Christmas when the city sparkles with lights and a blanket of snow. 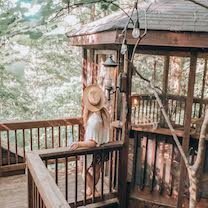 But if your goal is to hit the streets to listen to music, enjoy the nature hikes, and participate in festivals (like CMA Fest and Live on the Green) then the warmer season is your best bet. 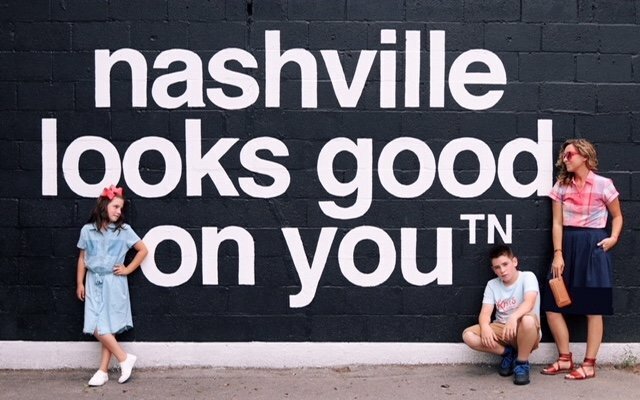 How do you write about Nashville without mentioning iconic venues like the Grand Ole Opry, Ryman Auditorium, and the famous Bluebird Cafe? And that’s just barely scratching the surface! Music aficionados will adore the history at Music Row museums and recording studios. You won’t have trouble finding live music in almost any bar on Broadway. But if you want more of a local experience where you can get to know up and coming artists, check out a Writers’ Round. 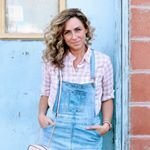 Bars like Listening Room and Belcourt Taps host 3-4 songwriters a night, who rotate down the line singing their latest song. Check out @omgimasongwriter to see who’s playing that night, or just show up and prepare to be amazed. Downtown is obligatory for every newcomer, but after you get to know the lay of the land, escape to other parts of the cities where the locals hang. 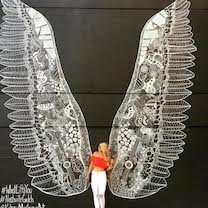 The Gulch neighborhood especially is home to some fun shops (like Two Old Hippies) and insta-worthy street murals. Try the boutiques on 12 South, like Judith Bright and Reese Witherspoon’s Draper James, to find a great outfit to wear out at night. If shopping isn’t for you, head to another local favorite - the sports arena. Nashville has its own set of teams that locals go wild over. Whether it’s the Predators, Titans, or the Nashville Sounds, cheering on the home team from inside their own stadium is a true local’s experience. 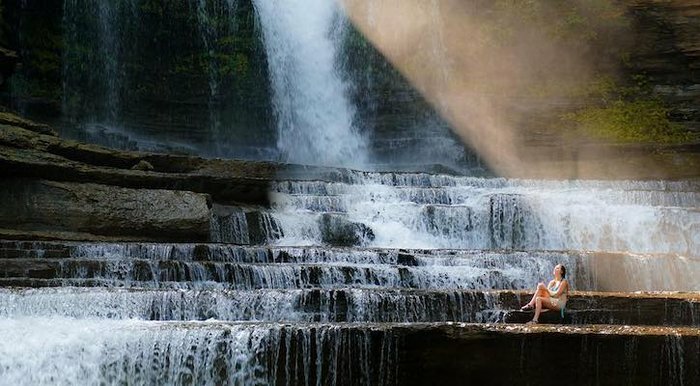 If you don’t mind traveling a bit outside the city, Nashville’s surrounding area is a waterfall-chaser’s dream. From 45 minutes to 2 hours out of the city, you’ll find a range of gorgeous waterfalls and views. Take a dip in the waters at Cummins Falls and Greeter Falls, or try your hand at cliff jumping at Percy Priest Lake. Stay in the car and explore the sights along Tennessee’s part of the Natchez Trace or look for beautiful views in South Cumberland State Park. 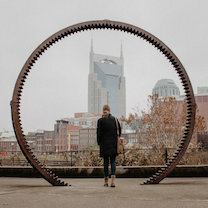 Nashville is one of the oldest cities in the South, and as such there’s plenty for the history buff to explore. Learn about Nashville history from slavery to the Civil War at Belle Meade Plantation, before exploring President Andrew Jackson’s beautifully preserved home, Hermitage. If you aren’t over the music scene yet, stop by the Country Music Hall of Fame and Museum or the Johnny Cash Museum. Finally, when your energy is starting to droop, finish up at the Jack Daniel's Distillery for a tour and free sample of whiskey from the oldest registered distillery in the US. 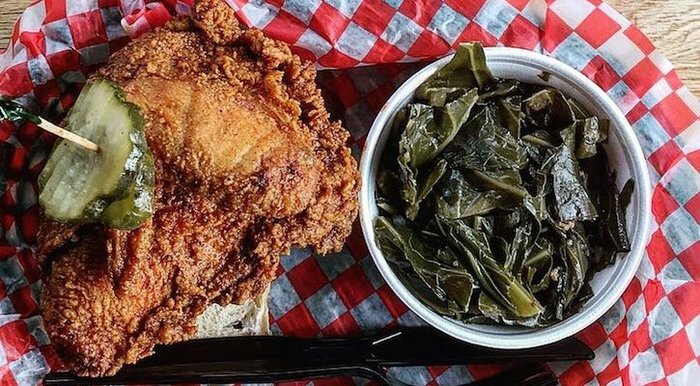 Memphis has its barbecue and Nashville has its hot chicken. Hattie B’s is the classic, and if you don’t mind standing in a line that stretches around the block, you’ll learn that this scrumptious meal is worth the wait. For Southern home cooking just like grandma made, Loveless Cafe will treat you right. Of course, there are new restaurants hitting the Nashville scene all the time, including recently opened pizza joint Folk, seafood eatery Saltine, and the new location of 404 Kitchen. So ask around once you arrive to find out the locals’ current fave. 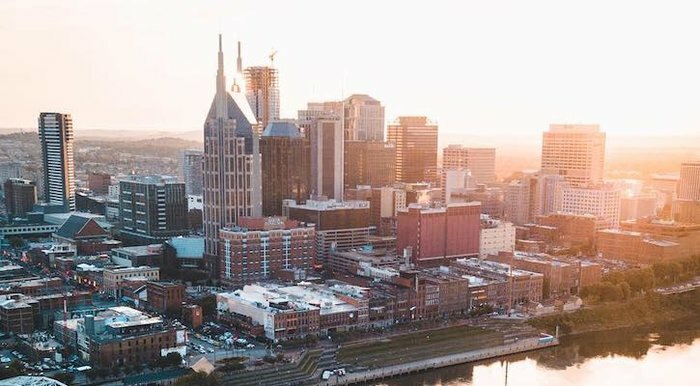 Nashville hotels are not always the cheapest, especially in peak travel season. But with some research, you can find something good. 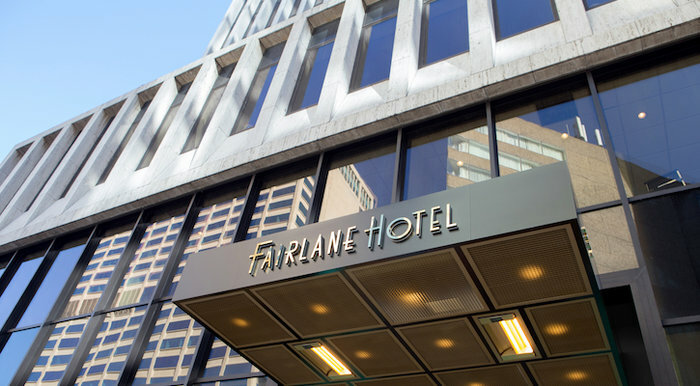 The Fairlane Hotel, for example, is a centrally located boutique hotel with a lot to love. For a historical experience, check out The Hermitage, which has held a strong position in the heart of the city for decades. If you want to escape the bustle of downtown, check out Airbnbs in trendy neighborhoods like the Gulch or 12 South.